I am jealous of your France collection. I spend too much money shopping so I have to wait a while to get that one. The colors look amazing. 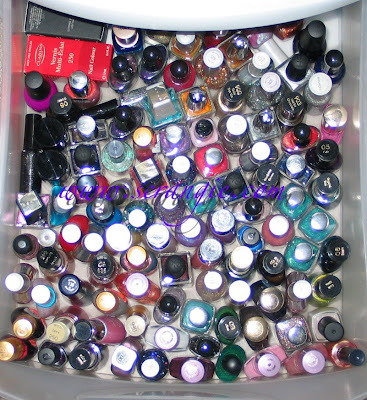 You also have a lot of Zoya. I like zoya colors but why is the application so messy and I always get bubbles in the color! Also, I can't remember if it was you or polish addict that suggested seche vite fast dry top coat, but I got it in the mail a week and a half ago and i agree, it works wonders. How do you pronounce the name though? 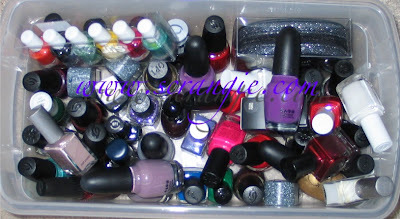 I just showed this to the boyfriend to convince him that my polish stash is a small one, that I'm not crazy and to convince myself that I should not have eBay-regret for buying Starry Starry Nights (+some, to make the postage worth while) the other day. AAAAAAAAAAAAAAAAAAAAAAAAAH!!!!!!!!!!!!!!!!!! 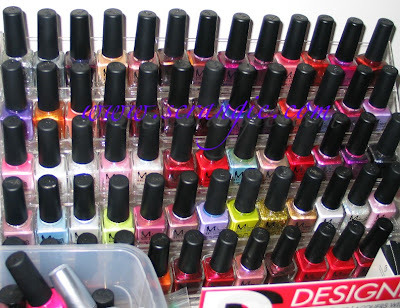 It's like a polish heaven! I adore it. :D I'm dead envious of the racks you have there and wishing I had some too. Sadly, I don't have any space whatsoever for them, so it's a no go even if I manage to find them..
hahahah i agree with fifrildi!!! i just showed my BF to try to convince him my stash of 250+ does not compare! 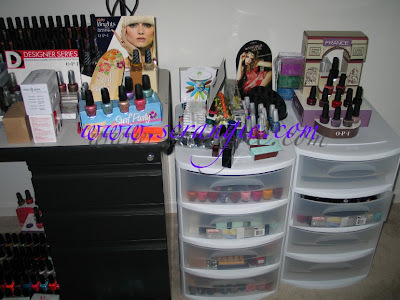 (as well as your beautiful OPI rack) i looooove your collex, can i come over and play?! Wow, Scrangie, that is so awesome...I bow before the mistress of polish! 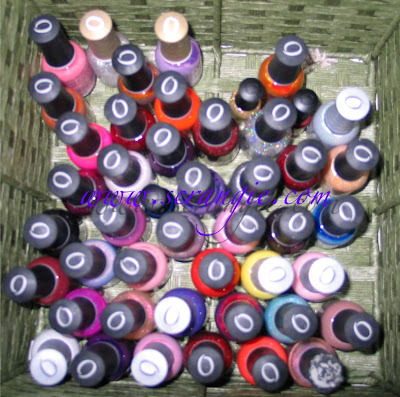 :) I totally agree with the other posters...nail polish playdate! I look forward to the final count! Can't wait to see some swatches and hear the final count. Thanks, Scrangie. I think I'll blow up when I see the "finished" pictures! Beauuuutifuuuul! Oooooh, that's like "polish heaven"! All I have to say is - wow! Chasophia, heehehehe thank you!! It does take up a LOT of space :( I don't like keeping them all in boxes because I can't look at them that way, but maybe I should because I'll have so much extra space that way! CarlaG, HELL YEAH!! <3 Playtime!! Lina-Elvira, awesome! <3 Luckily my husband doesn't mind my stash *too* much, as long as it's not in the way lol :D And the green is Sinful Show Me The Way! If these are before pics what is the after going to be? Fudge, hee hee thanks! It gets a little overwhelming at times! I don't think I saw Orly's It's up to blue in the Orly box. If not, get it - fast! It is such a beautiful, vibrant, shimmery teal.